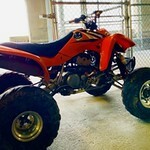 NEW BRITAIN - A city teenager was arrested after riding an All Terrain Vehicle in Stanley Quarter Park Sunday. 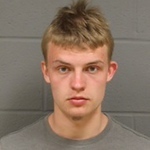 Jakub Beilawski, 19, of Booth Street, was seen riding a four-wheel Kawasaki ATV “recklessly” within the park as people were fishing, Police Chief Chris Chute said in a release. He was seen doing “donuts” and “burnouts” inside the park. Officers tried to stop Beilawski, but he disregarded their signal and attempted to flee, Chute said. In his attempts to flee, the ATV became stuck on a tree branch, preventing his escape, Chute said. Beilawski was subsequently apprehended. Beilawski was charged with reckless driving, operating a motor vehicle without a license, reckless endangerment, operating a motor vehicle without insurance, operating an unregistered motor vehicle, second-degree breach of peace, disobeying an officer signal and interfering with police. He is released from custody on a promise to appear and ordered not to commit any other crimes, a court clerk said Monday. He will be arraigned in New Britain Superior Court on Monday, April 29. He has no other open cases against him. The ATV was seized per city ordinance 15-148 that prohibits ATVS from being operated on city streets and inside city parks. According to that ordinance, the vehicle will be auctioned and the proceeds of the sale will be deposited into the general fund. The New Britain police department is looking for the public’s help in identifying operators of motorbikes and ATVs, Chute said. The department asks residents to contact them with information on the identification of the operators and location of where the vehicles are being stored, Chute said. Anyone with information can leave an anonymous tip at 860-826-3199 or newbritainpolice.org/index.php/anonymous-tip, Chute said. If anyone wishes to speak with an investigator, contact Sgt. Matt Butkiewicz at 860-826-3171, Chute said. Posted in New Britain Herald, New Britain on Monday, 15 April 2019 20:34. Updated: Monday, 15 April 2019 20:37.